The first, and probably most important, is to continually put positive energy into what you want to manifest or change. Your thoughts have power, so guard your thoughts, keep them as positive as possible. Try to imagine the joy and happiness you will feel when whatever you are intending to manifest finally happens. Try to avoid doubt, and negative thoughts. It is very hard for your guides and angels to help if your energy is always negative. If negative thoughts do creep in, as they so often do when problems come up, try to quickly shift the energy back to positive. The key here is to continually invest positive energy into the whatever you are trying to manifest. Personally I like to spend a little time each day thinking of what I am trying to manifest, picturing the joy I will feel when it happens, imagining how much different my life would be when this issue is resolved. I try to surround the issue with white light and positive energy at least once a day, even on my days of doubt. The trick is to acknowledge that this is a temporary state, not the norm, and adjust your energy when you realize you’ve taken the ‘Negative Nancy road’ for a minute. The second thing I learned in my quest to perfect the art of manifestation, is patience. Manifesting isn’t something that happens in a day. Instead manifesting is better looked at like a goal continually worked on over time. There is no set time in how long it takes to manifest your desires. I have found that manifesting is something that can take sometimes years to become reality, particularly if what your trying to manifest involves other people. For example, if your trying to manifest your partner proposing marriage, or making the relationship exclusive. Because these types of manifestations involve another person’s free will, the timing on when those issues manifest also depend on the other persons energy and can sometimes take longer to manifest. The one thing I can say for sure, if you’re putting energy into manifesting something with regard to another person, their is always a result or outcome, but it may not be the result your hoping for. So, please consider all possibilities when trying to manifest something involving someone else’s free will. The third aspect of the manifesting process I have found helpful and necessary for successful manifestation, is your physical world involvement in the process. Your guides and angels are in the spiritual realm, they lack physical bodies, therefore in order for the manifestation to happen they need your cooperation. For example, if you are trying to manifest your dream job, and have been putting positive energy into it daily, yet you do not do any job searching, you have not updated your resume, you have not been networking, or doing anything but sending positive energy into trying to find the dream job. This is counter-productive to the process, while the universe, your guides and angels have many tricks up their sleeves and never cease to amaze me with the creative ways they manifest things, they do need your active participation. So, while your positive affirmations daily may have created the dream job for you, unless you actually apply for the job, or spend time looking for it, you are not really doing your part in the manifesting process. These are just a few of the strategies I have learned over the years to aid in manifesting one’s dreams into reality. I have also found that manifestation really does work. It has been proven to me more times than I can count. It is my true desire that you take these tools and put them into practice so that your dreams can also become reality. However in closing, always be careful of what you wish for, you may just get it! June is an experienced and gifted reader in Indiana, near Lake Michigan, who enjoys the peace of the woods and the energy it provides her. A double Taurus, led by earthy and dependable Venus, she will help you to navigate your life on a steady course. Many come to her at a crossroads, not knowing which way to turn, or even how to move forward. Not only does June lift the obstacles and show you your path, but she also helps you to embrace the positive light that will guide you. She's helped numerous people in all areas of life for the past fifteen years, and has honed her abilities as an active member of her Spiritualist Church, by helping others in her congregation. For many years she's enjoyed a front row seat to witness all the events play out, just as she was shown by her Guides. June inherited her gifts from the generations that came before her, but she also finds new skills popping up unexpectedly with clients. Mary and Suzie are the Spirit Guides she works with, and she delivers their messages in a style that suits each of her client's particular needs that day. June has been a high-rated reader on the internet, as well, and enjoys the accessibility the internet provides, so people can easily find her. 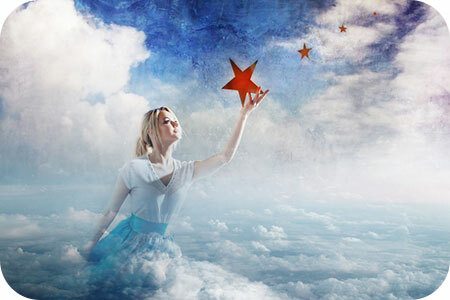 If you'd like to find a highly accurate reader who gets her messages out quickly, and who can raise you up high on your path, you can find June at PsychicAccess.com.